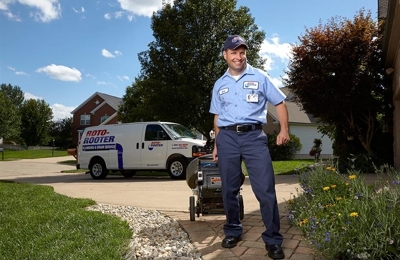 When homeowners & businesses in Aurora, IL need a plumber near them, they call Roto-Rooter. We are available 24 hours a day, 7 days a week. 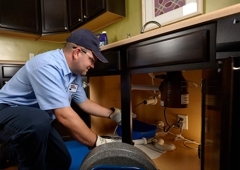 Offering emergency plumbing services and drain cleaning solutions, without an extra charge for nights, weekends or holidays. Robbie, Tech# 2913 was awesome. He was efficient, clean and knowledgable. I would have him back to work on my pipes again. Very satisfied! Came to the house in very cold weather. Terry (4134) was very kind and professional. He explained everything that he did, and cleaned up the area. He was so nice. Arrived right when expected. Will definitely recommend to friends. Loved being able to request service online and they arrived the next day! Very professional and knowlegable, we will use them again if needed! I'm in Streamwood, IL. The plumber showed up within an hour of my call and unclogged my sink in expert fashion. Very pleased with the service! Hard water can cause scaly buildup on your bathroom and kitchen fixtures; increase water bills; and clog pipes. Learn what you can do about it.